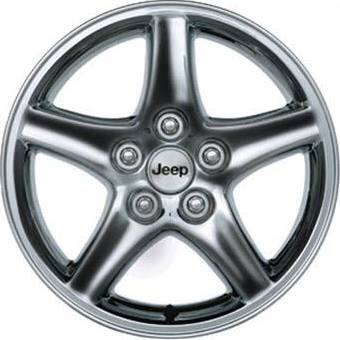 Cast Aluminum Wheels for the Jeep Liberty are available in a polished or chrome plated finish and have been treated in a durable clear coat finish. All wheels designed to meet Chrysler strength, corrosion and balance standards. 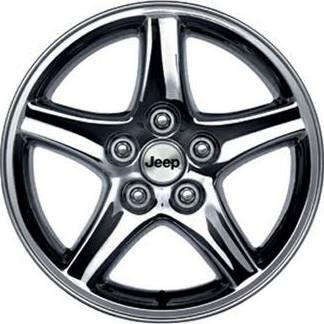 Wheels are sold individually with a Jeep logo center cap. 16"x7", 5-spoke, Polished with clear coat, with Jeep center cap.